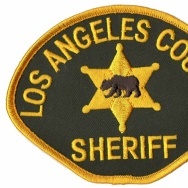 Members of the L.A. County Sheriff's Department changed the department's inmate visitation policy to thwart an FBI investigation into jailhouse wrongdoing, federal prosecutors alleged Wednesday. The allegation arose during the trial of James Sexton, one of seven sheriff's employees charged with conspiracy and obstruction of justice. 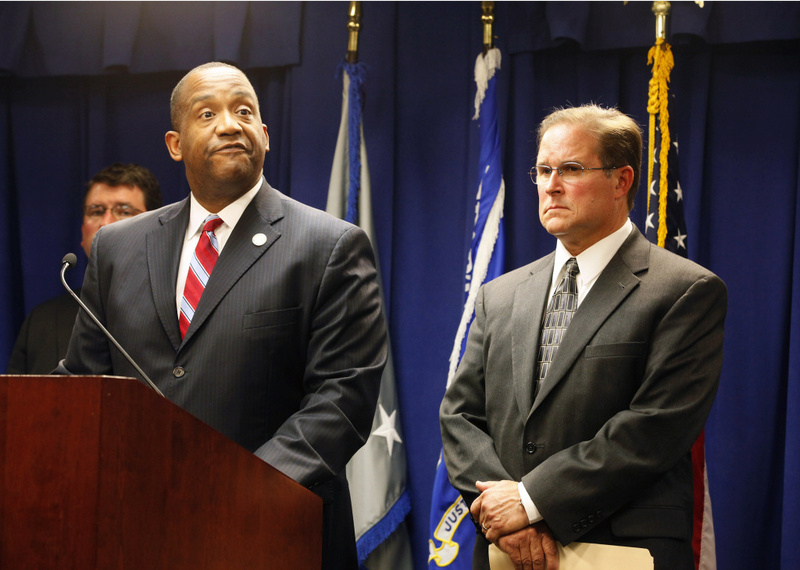 Sexton, like the others, is accused of hiding an inmate, Anthony Brown who was working as an FBI informant from federal agents who wanted him to testify before a grand jury investigating inmate abuse and deputy corruption. Sexton's attorneys say he was following orders from much higher ranked officials to help isolate the inmate and keep him safe from any potential retaliation by corrupt deputies. According to an FBI agent and sheriff's sergeant who testified Wednesday, the discovery of Brown's link with federal investigators prompted a change to jail policies involving outside law enforcement like the FBI. Before the Brown incident, Sgt. Robert Bayes, then a detective in Twin Towers Correctional Facility, testified law enforcement had easy access to jail inmates--they'd sign in, give their driver's license, and be able to interview inmates. After Brown's discovery on August 18, 2011 things changed, Bayes said. FBI agents and police officers would have to request an appointment with an inmate, give the reason for their visit, and disclose what crime they were investigating when speaking with an inmate. That policy, he said, still exists. An email written on August 26, 2011 presented to the jury by federal prosecutors shows the captain of Men's Central Jail instructing custody staff to deny federal agents access to jail inmates. 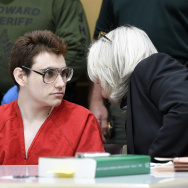 "'If any federal agency comes to Men's Central Jail with an order, receive the order and say you have to submit it to our legal advisor for review,'" said the email, as read to the jury by FBI Special Agent Leah Marx. "'Do not release the inmate or allow contact.'" Prosecutors also played recordings made by deputies questioning Brown about the extent of FBI inquiries into the jail. Brown, who repeatedly asks for a cheeseburger and a cigarette (and apparently is not given either), eventually tells a man identified as Deputy Gerard Smith that "there's a lot of evidence on a lot of [expletives] down here--they're [the feds] going to clean house." "If someone's going to come to my house and clean it up, they better knock on my door first," Smith is later heard saying. Smith is among the seven deputies charged with conspiracy and obstruction of justice and is expected to go to trial, with the remaining defendants, when Sexton's trial concludes. Sexton's defense team will present their case when the prosecution concludes later this week. So far, defense attorneys have indicated they'll argue Sexton was a small player in the alleged conspiracy--simply following orders from higher ranked officials. Defense attorneys have also said deputies involved in the alleged plot had legitimate reasons to hide Brown and investigate the FBI--which had helped smuggle a cell phone, which are illegal and considered dangerous for inmate to possess, to Brown. Sexton, defense attorneys say, was under the impression he was protecting Brown by moving him from jail to jail under false names.